Amazon today announced the all-new Fire HD 8, the next-generation Fire HD tablet designed from the ground up for all-day entertainment. With an 8” widescreen HD display and quad-core processor, Fire HD 8 now offers an incredible 12 hours of battery life, 50% more RAM for faster performance, and 2x the on-device storage, plus support for up to 200 GB of additional storage via a microSD card—all for only $89.99. Fire HD 8 also introduces Alexa, the cloud-based voice service, for the first time on Fire tablets—just press and ask—Alexa can play music, launch games, read audiobooks, and more—coming soon. The all-new Fire HD 8 is available for pre-order beginning today with 16 GB or 32 GB of storage starting at $89.99 at www.amazon.com/FireHD8. Fire HD 8 comes in four fun color options: black, magenta, blue, and tangerine and starts shipping September 21. The Fire HD 8 is powered by Fire OS 5 which starts with Android Lollipop, and improves upon it by deeply integrating Amazon’s hardware, platform, software, content, and cloud. For developers, if an app runs on Android, it can run on Fire OS with little to no work. 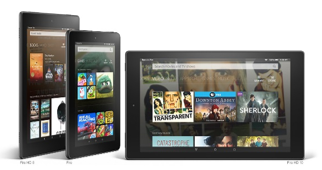 Since Fire OS is based on Android, it’s easy to bring your Android apps and games to the Amazon Appstore. 85% of the Android apps submitted to the Amazon Appstore just work. Click here to test your app. Fire OS 5 also makes it easy for customers to discover your content. 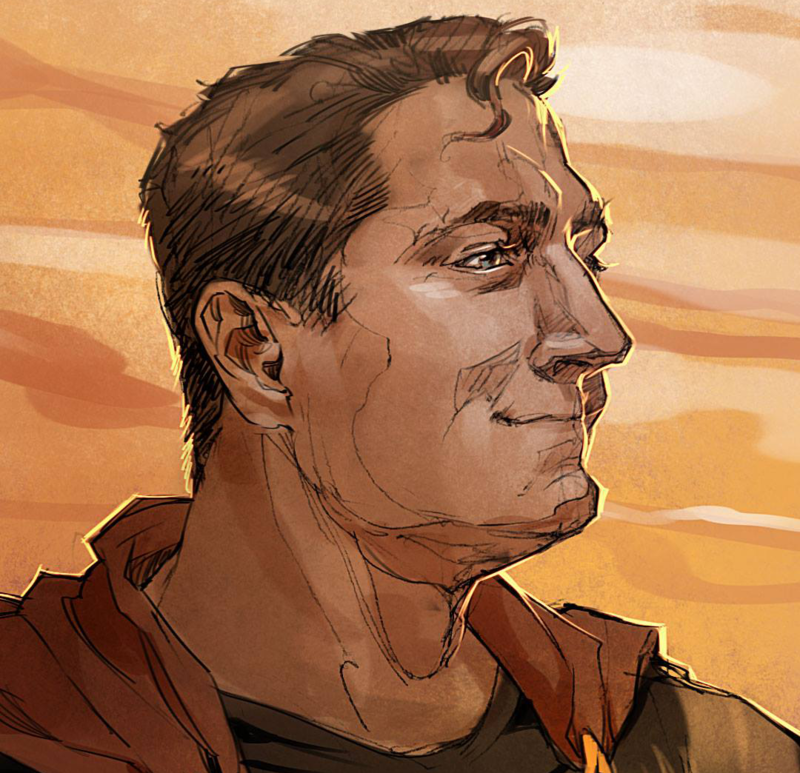 The home screen includes dedicated content pages for books, games and apps, video, music, audiobooks, and periodicals—each page presents an engaging layout akin to the beautiful pages of a magazine. With the Fire HD 8, apps and games are at the center of the experience. The dedicated magazine pages create a “content forward” experience—customers don’t have to open the Amazon Appstore to discover new content, making it easier for you to reach new customers. Within the Amazon Appstore experience, we have replaced the static menu of apps with a dynamic list of content that is personalized for each individual customer. Optimizing the experience of each customer will help maximize the chance that the right users—the ones that are more likely to convert—will see your apps and games. Customers will see content they are more interested in, and likely to download. For example, with the updated and personalized Amazon Appstore, customers who have shown a propensity to play trivia games will be more likely to be shown more puzzles and trivia games. Customers can also spend Amazon Coins, like money, on apps, and games from the Amazon Appstore. Amazon Coins allow customers to buy apps, games and in-game items at a discount, while developers still get paid their 70% revenue share. Click here to learn more about Fire tablets and Fire OS 5. Alexa is Amazon’s cloud-based voice service that allows customers to play music and get information, news, sports scores, weather, and more—instantly, just press and ask. In the coming months, Fire tablets will also be able to connect to Alexa, enabling Alexa developers to extend their reach to Fire tablet users. Developers can use the Alexa Skills Kit to add capabilities, or skills, to Alexa, allowing customers to interact with content through voice on all Alexa-enabled devices: Amazon Echo, Echo Dot, Amazon Tap, Amazon Fire TV devices, and coming soon on the all-new Fire HD 8 and previous generations of Fire tablets. Click here to get started building skills for Alexa. Fire HD 8 comes preloaded with Amazon Underground. 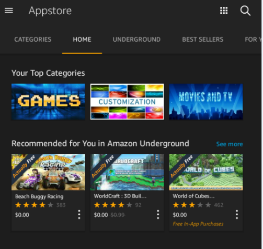 Amazon Underground is a one-of-a-kind app store experience where thousands of premium apps, games, and even in-app items are 100% free—including extra lives, unlocked levels, unlimited add-on packs, and more. We’ve made this possible by working out a new business model for developers. With Amazon Underground you get paid for every minute a customer uses your app or game, so you can turn 100% of your Android users into revenue generating customers. Now you can focus less on monetizing and more on creating great user experiences. Since launch, royalties paid to app makers have grown by more than 3600%, and 87% of Underground games deliver higher revenue compared with other app stores. Check out the results that developers like Coffee Stains Studios, Kerad Games, and Loud Crow Interactive have seen with Amazon Underground. Click here to learn more.